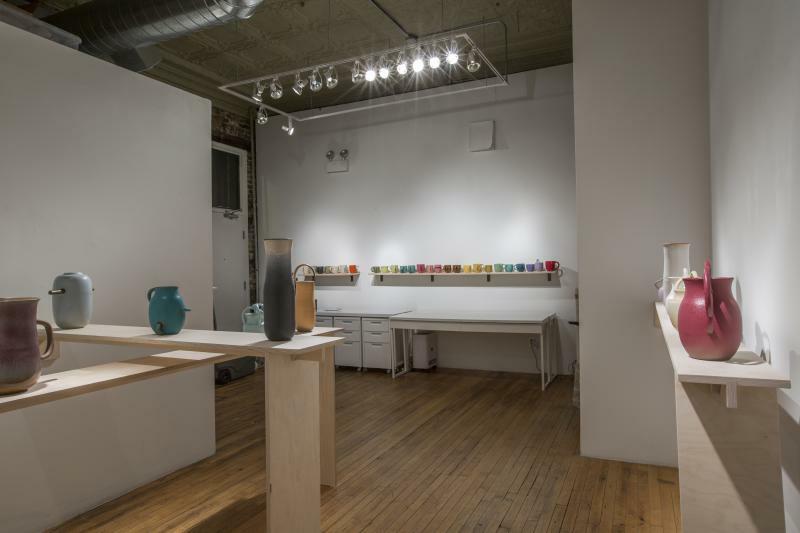 THE MISSION is pleased to exhibit ceramics by Noah Singer IN THE OFFICE. An opening reception will be held on Friday, November 4 from 6:00 to 8:00pm and the exhibition will continue through Saturday, December 17, 2016. Singer’s nonfunctional ceramics subtly and overtly provide classic silhouettes. His recent work focuses on pushing form and glazes beyond their naturally presumed boundaries. Handles are oversized, slightly off center or mismatched as they bisect and pierce Singer’s vessel. 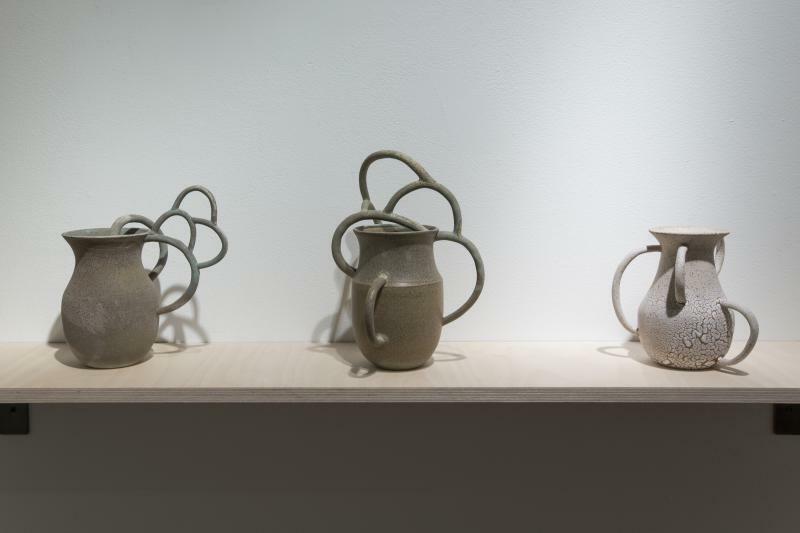 Placement, size and gesture of the handles challenge each other and refute the function commonly associated with its form. The fragility suggests their use might destroy rather than define their intention. 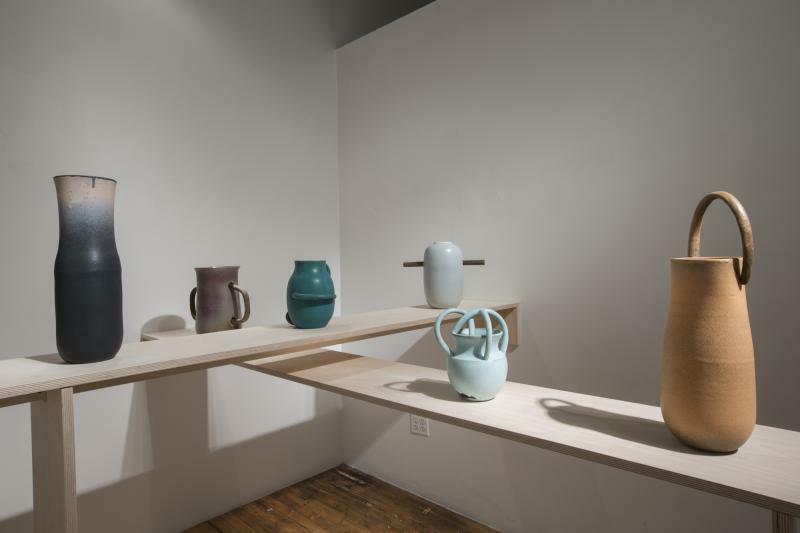 Formulating his own lexicon of glazes, Singer explores the movement and interactions that different glazes have with each other and the clay body. Rather than viewing glazing faults – crawling, shivering and running – as problematic, Singer encourages these imperfect reactions. 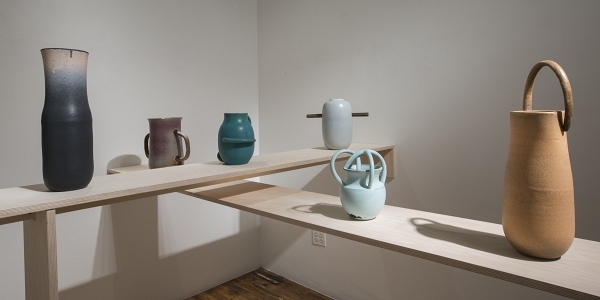 NOAH SINGER is a self-taught ceramicist living and working in Chicago, IL. Singer has exhibited work at PATRON, Threewalls and Open End Gallery. He completed a residency at Ox-Box School of Art & Artists’ Residency. He was the owner of Imperfect Articles and was a board member at Roots & Culture.